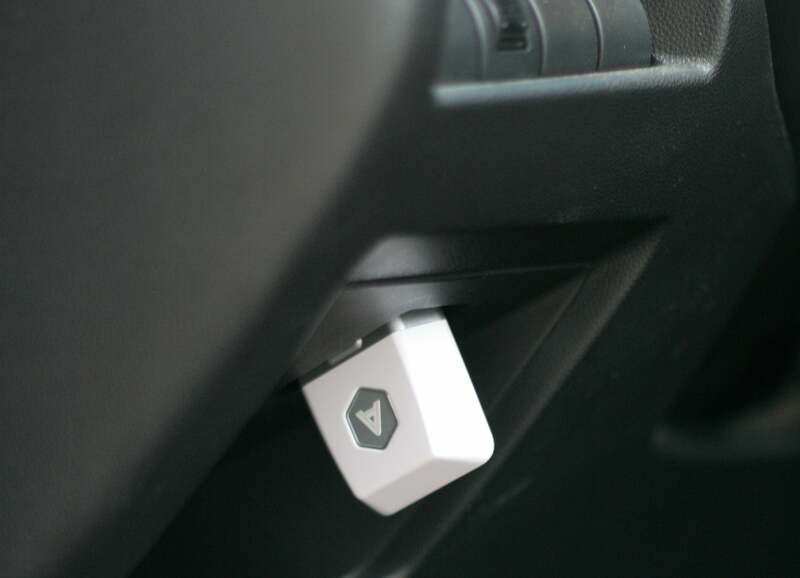 Automatic is a $99 car app and dongle focused on increasing your awareness of your car and how you drive it. After intensive use, I wouldn’t give it up, and I look forward to seeing more new features, such as the web dashboard announced earlier this week. I just wish I had more control over the sensitive data collected by the app. The Automatic Link in its natural habitat, plugged into the OBD-II port to below my car’s dashboard. The Automatic Link dongle plugs into your car's OBD-II port (all U.S. cars from model year 1996 onward have one) and transmits data to your phone via Bluetooth. Combined with location stats, all this data allows the Automatic app to monitor your driving style and fuel efficiency, log trips, check engine health, remember where you parked, and even notify loved ones in case of accidents. 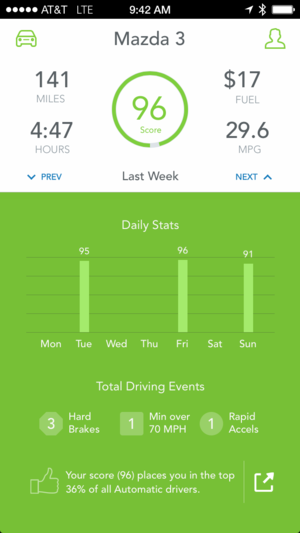 When not driving, the app shows weekly driving statistics, parked vehicle location, and a list of trips. Automatic's capabilities somewhat overlap those of other competitors who offer their own OBD-II dongle/app systems. For example, both the Zubie Key and MetroMile’s Metronome report driving data to apps via built-in cellular connections, while the Metronome also logs data for the company’s pay-per-mile insurance service. Automatic verifies compatibility with your phone and car during the purchase process. 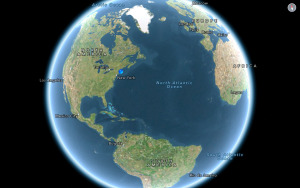 It supports the iPhone 4S or newer, most phones running Android 4.0 or higher, and most gasoline- and hybrid-powered cars. 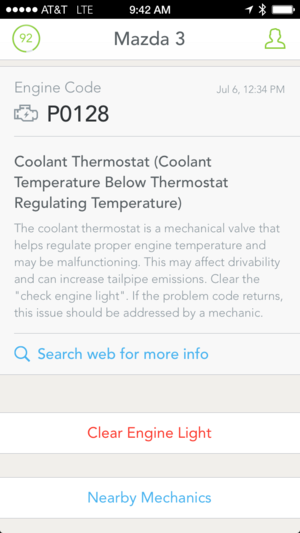 Setup is simple: I connected the unit to my car’s diagnostic port below the dashboard, launched the app, started my car, and created an account. The app then read my car’s Vehicle Identification Number to determine its year, make, model, and estimated fuel efficiency. Automatic focuses on encouraging fuel-efficient driving. 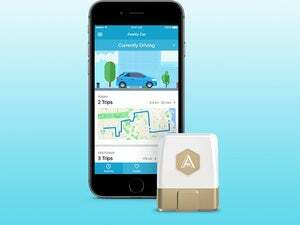 It continuously monitors engine, accelerometer, and location data and will audibly alert you of driving infractions that reduce fuel efficiency. Such factors include rapid acceleration or braking, or excessive speed (over 70 miles per hour by default). Tapping Weekly score gives you a day-by-day score breakdown, displays driving “infractions,” and lets you compare your score to those of other Automatic users. All but the most devil-may-care drivers should, if nothing else, find the efficiency feedback informative. Whether it motivates anyone to change their driving behavior in favor of efficiency is up to the individual. I know it made me more conscious of how I drove, and Macworld editor Dan Frakes says it's definitely made him change his driving behavior. If you want to cut loose, these alerts can be turned off—though the app continues to silently log (and judge) your driving. I found that even with alerts off, knowing the device was there encouraged more thoughtful and attentive driving—and that didn't mean boring driving, which is what everyone's really worried about when it comes to efficiency, let's admit it. When you complete a trip, Automatic marks your car’s location (very helpful in urban areas). 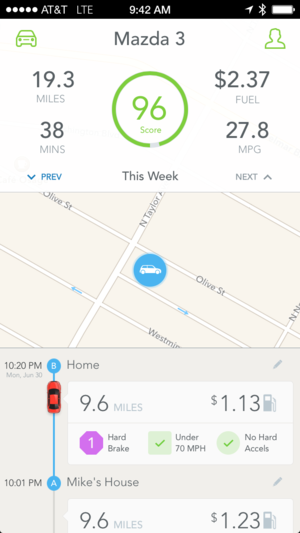 The app also calculates trip statistics, including drive time and distance (handy for business purposes), fuel cost (based on location and Automatic’s database of gasoline prices), and fuel efficiency. The app lists trips for the current week. Tapping a trip shows your route, with “infractions” marked on the map. 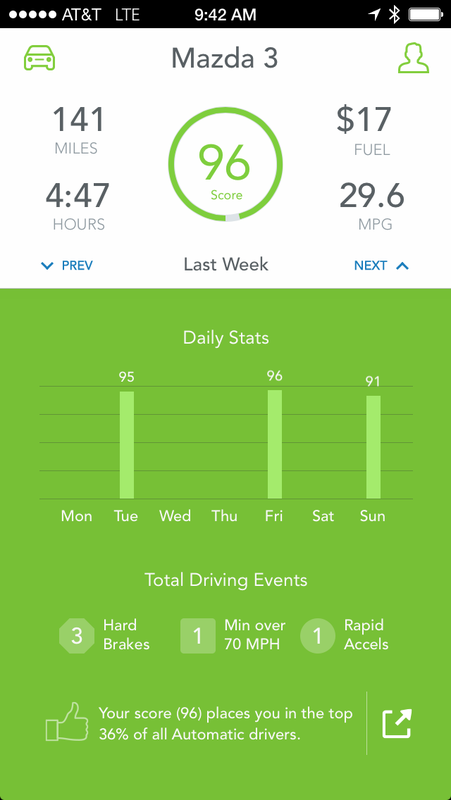 The app also offers weekly driving statistics, including an efficiency score from 0 to 100. You can view data from previous weeks as well. The app is cleanly designed, easy to use, and pleasantly simple. Automatic alerts you if your car’s check engine light activates, showing the associated status code and its description. It can even dial a local mechanic or clear the indicator. This light can mean something as innocuous as a loose gas cap (as was my case), so Automatic also helps prevent your car from “crying wolf,” giving you a clue as to whether an issue is serious. Interpreting the engine codes isn’t always easy, but that’s the carmaker’s fault. 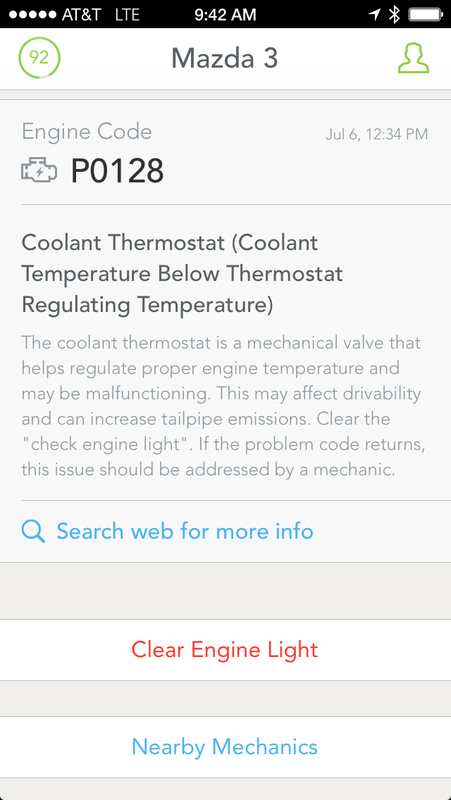 If something triggers your car’s check engine light, the app tells you the code, attempts to describe the problem, helps you find the mechanic, and lets you reset the indicator. This alert was triggered by a loose gas cap! Speaking of safety, if the app thinks you’ve been in an accident, it can alert loved ones via text and provide them with your location—after giving you opportunities to cancel the alert, including via a call from an Automatic representative. I (thankfully) didn’t have occasion to test the feature, which is still in beta as the company refines its sensitivity. I’ve been using Automatic for a year, and the company has added a number of new features. The recent 2.0 release of its app, for example, offers a visual redesign, and the ability to alter the 70 mph speed threshold for audible warnings (although this doesn’t yet affect score calculation). My favorite new feature is the app's ability to monitor fuel level for cars that provide this data, displaying a gauge and an estimated range based on your recent efficiency. 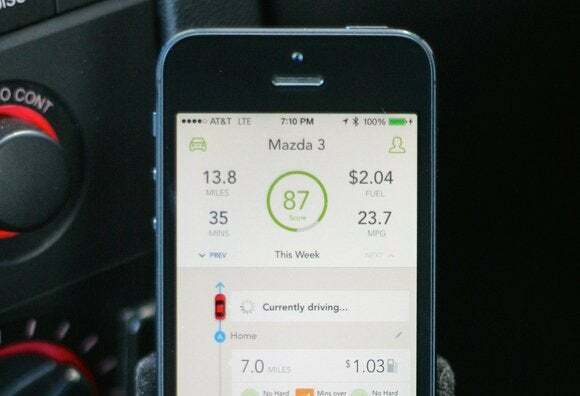 The app can even warn you when the range drops below a threshold—for example, letting you know you have approximately 60 miles of driving to reach a gas station. Other recent additions include support for integration with other apps via IFTTT, and iBeacon functionality for the Link hardware, which helps the app know when it’s close to the link and enables future features. I encountered a few minor issues in testing the app, including occasional failures to connect to the Automatic Link dongle. Updates have made these rarer. The company also plans to improve handling of multiple drivers. Currently, whichever user’s phone pairs with the Link first gets credit for the drive, which isn’t particularly useful. Finally, while Automatic does many cool things, it’s clearly capable of more—I’d like to delve further into the my car’s data, and have a dashboard of real-time information, such as current fuel efficiency. I’d also like to see the app take advantage of the huge volume of data it collects to offer more subtle insights into my driving habits. It's not clear yet whether the new web dashboard will provide any additional depth or sophistication compared to the smartphone app. Ultimately, Automatic’s great. The hardware is unobtrusive—except when chiding your driving—and the app is pleasant yet powerful. Depending on how, when, and why you drive, any of the app’s features could make for an—ahem—automatic purchase. This story, "Automatic app review: For $99, the truth about your car and your driving" was originally published by TechHive.